As part of the Better Speech and Hearing Month festivities, our usual weekly continuing education sessions get transformed in to fun, social, team building things. We've had a "book swap" in the past that operates like a Christmas gift exchange where you bring in 2 wrapped books, draw numbers, then pick a book or "steal" one that has already been opened. Some years it's a windfall, some years it stinks. 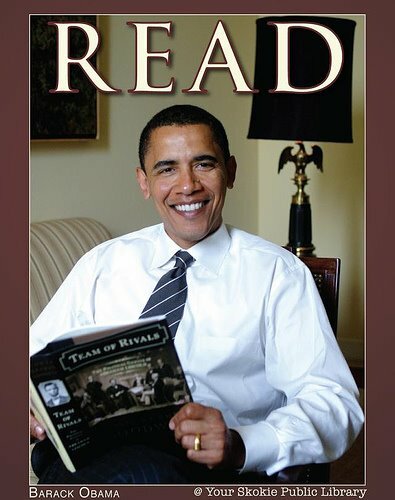 This year was a good one, and I stole this book from someone based on the person who brought it in (I like what she reads) and when describing the book she said that Obama had read it. I'm simple enough to think that's cool.